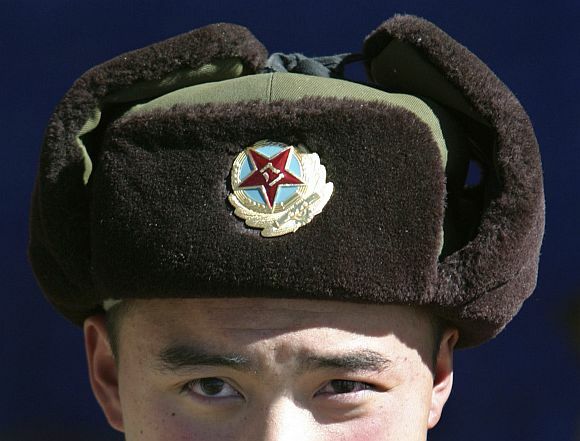 Rediff.com » News » China intrusion: Government is misleading people! 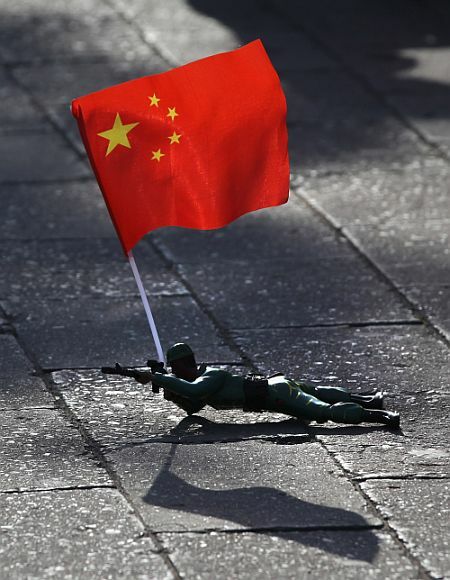 China intrusion: Government is misleading people! It is over four weeks since the Chinese army intruded deep into the Depsang Plains of Ladakh, in the north-western sector of the India-China border, and the strategic community in India seems yet groping to make a sense of the aggression! Utterances of the Indian government officials over the issue have been deliberately misleading and those of commentators largely speculative. The government's unyielding reluctance to share the facts with the country is at the root of wild speculations. 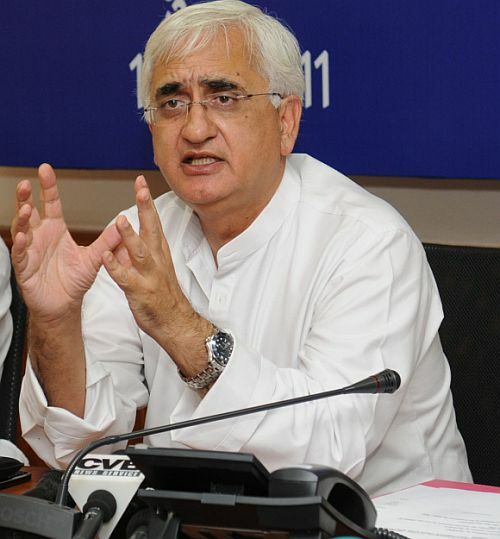 Indian Foreign Minister Salman Khurshid first played down the aggression calling it a mere 'acne' and while recently in Beijing sought to further humour his host by not earnestly raising the issue with his Chinese counterpart. It is time some crucial facts be told to the countrymen and call the minister's bluff. Until the emergence of the Peoples Republic of China and the PLA's march into Tibet in 1950, there was little uncertainty regarding alignment of the India-China border in this sector. Although the British in their strategic maneuvers to promote China as a buffer between the imperial Russia that had absorbed the Central Asia by the 19th century and come dangerously close to the borders of the British empire had yielded some territory of Jammu & Kashmir north of the Karakoram Pass to China, the locus of Aksai Chin in India's Ladakh was never in doubt. The Maharaja of Jammu and Kashmir governed this vast stretch of land and policed the trade routes crisscrossing it. Successive maps of the Chinese governments-imperial as well as republican too showed Aksai Chin as part of India's Ladakh. It was only in 1950s when the Peoples Liberation Army marched into Tibet and Tibetans resisted imposition and consolidation of the Chinese rule that China realized the strategic importance of Aksai Chin for movements of troops from Xinjiang to quell the unrest in western Tibet. Later, China realised its importance also for pacifying Xinjiang where a virulent separatist ethnic insurgency has been raging unabated. Ever suspicious of unrest in Tibet being encouraged from across the border in India, Chinese maneuvers in this sector, among its several strategic objectives, are aimed at eventually denying India its existing land proximity to Xinjiang. China began altering its maps since 1956 laying claims over Aksai Chin and the adjoining areas of Ladakh. When India protested, China claimed it on military reasons. 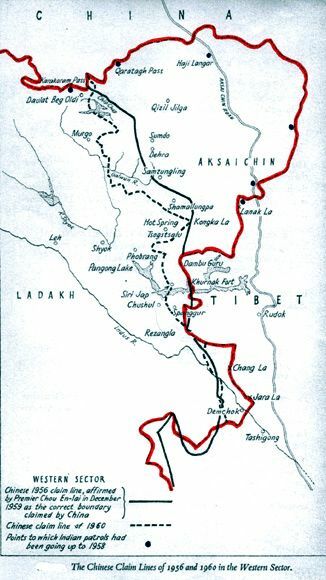 China government in its letter to government India on December 26, 1959 wrote: "This area (Aksai Chin) is the only traffic artery linking Sinkiang and western Tibet, because to its north-east lies the great Gobi of Sinkiang through which direct traffic with Tibet is practically impossible... In the later half of 1950, it was through this area that the Chinese government dispatched the first units of the Chinese People's Liberation Army to enter Tibet." After gobbling Aksai Chin, China continued pushing its claim line further deep inside the Indian territory. The government of India unable to defend its territory, ironically has chosen to play down the Chinese aggressions. Khurshid's recent statement trivializing the Chinese aggression is uncannily reminiscent of Pandit Nehru calling loss of Aksai Chin a "small matter" to be settled without much difficulty. An insidious impression is being created in the public mind and memory that the border with China is not yet defined and thus the border alignments are subject to differing perceptions of the two countries. It is a sad and cynical denial of truth. A historical lie. The fact is the government of India having failed in defending its territory from intermittent Chinese military advances has been, like an ostrich, in denial of the very problem. Taking advantage of weak Indian presence in the region, China entrenched itself in Aksai Chin in 1950s and by 1960 converted the traditional trade route between Tibet and Xinjiang passing through it into an all-weather national highway no G 219. They also built military garrisons and supporting auxiliary military infrastructures in Aksai Chin. Of late they have begun pushing their claim further west toward the Shyok valley. The territory still with India in this sector, called Sub-Sector north by the Indian Army, is wedged between Aksai Chin, under Chinese occupation, in the east, and the Pakistan occupied Kashmir in the west. On the west, China is also positioned beyond Point 6599, west of the Karakoram Pass, a swathe of strategic territory of J&K it illegally wangled from Pakistan in 1963. The remaining territory, wedged in-between, is India's border with Xinjiang and its only land proximity with the Central Asia. It is also crucial to the defence of the Siachen region. China has been steadily chipping this wedge further thin by intermittent aggressive maneuvers. In pursuance of their strategic objectives, China is focused on two critical pressure points in this vulnerable sector of India -- the Trig Height and to its south Burtse/Depsang Plains. While the push at Trig Height will eventually make our northern-most post at the Daulat Beg Oldie, near the strategic Karakoram Pass opening into Xinjiang, unsustainable as it would cut the reinforcement and logistic life line to it, the push at Burtse/Depsang Plains, south of the Trig Height will neutralise both our posts at the Trig Height and the DBO. The Chinese army began its push first at the Trig Height. There were over 50 aggressive intrusions in 2005 in this area. The number increased to over 70 in 2009. They built an over 5 km motorable road from JAK II (GR-564678) within Indian side of the Line of Actual Control crossing the Track Junction Nallah up to Point 5459, close to our Trig Height post and then taking an U turn to JAK I (GR-580672). Having made strategic gains at the Trig Height area, the Chinese army launched their offensive to the south of it at Burtse/Depsang Plains in 2009. The PLA for the first time in 2009 launched over 6 territorially intrusive patrols in this area. The following year they intruded over 30 times. Intrusions were far deep, at times over 30 km within Indian Line of Actual Control. 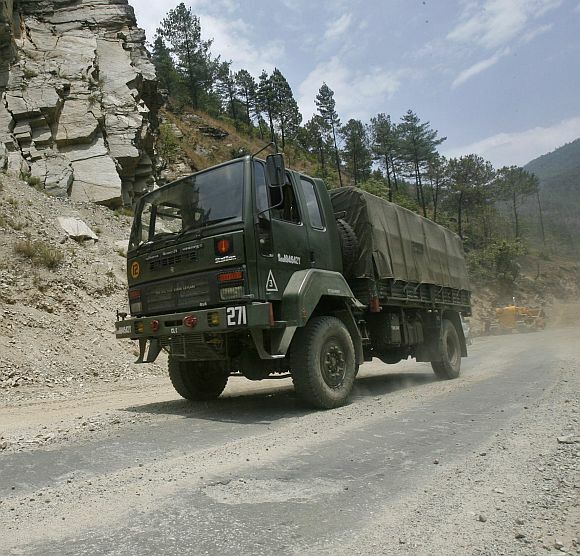 By 2011 the Chinese built 30 km motorable roads on the Indian side of the LAC originating from JAK II/ JAK I area along Raki Nallah cutting across the Indian patrol line and culminating at GR 626516 in the Depsang Plains. This road runs deep inside the Indian territory and comes dangerously close to the route that is the life line for reinforcement and logistics to all our northern posts at Burtse, Trig Height and DBO. Further south along Jeevan Nallah they built another over 20 kms motorable road within our LAC which if extended will cut the arterial supply line to the entire region at a place just below our Murgo post. While the Chinese army has been steadily pushing the Indian Line of Actual Control further and further westward and dangerously thinning the wedge of the Indian territory, the Indian establishment has been playing ostrich. The China Study Group, the highest non-political entity headed by the National Security Advisor to monitor the India-China border and advise the apex political entity, the Cabinet Committee on Security headed by the Prime Minister, has been responding to every Chinese aggression with a cringe. The CSG has been less than honest in briefing the CCS. The bureaucrats lack courage to tell uncomfortable truth to their political patrons. Each time the Chinese army moved aggressively into our territory and the border guarding force or the Intelligence Bureau raised the alarm, the CSG met and chose to downplay the aggression and cautioned the Army and the ITBP not to precipitate a situation. 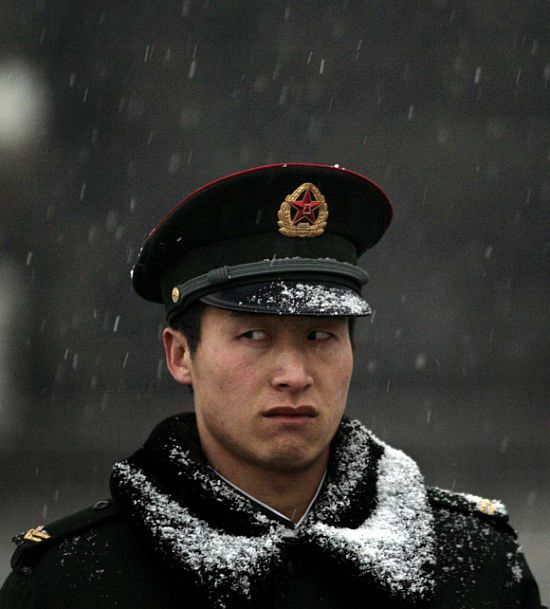 The troops were advised to be discreet and politically correct in handling the Chinese aggression. The bottom line was that the push must never come to shove even if it meant loss of territory and humiliating retreat by our troops. The Indian Line of Patrol kept shrinking inward with every Chinese push. India has consistently maintained a meek and defensive posture on its border with China. Its diplomacy has been self-defeating. The net result is more and more aggression by China. The political executives on their part have seldom shown honest interest on the developments along this border. The Indian government is misleading the people over the recent standoff and its so-called 'resolution'. The fact is that the Chinese army played a Kargil in this sector by intruding over 19 km into Indian territory, un-observed and un-opposed. They not only transgressed the LAC but also built structures deep inside. The government was caught napping. After keeping their flag flying deep inside Indian territory for over two weeks, the Chinese army went back to their nearest base camp extracting an assurance that the Indian troops which had been patrolling the area unhindered till the other day shall not enter the area any more. 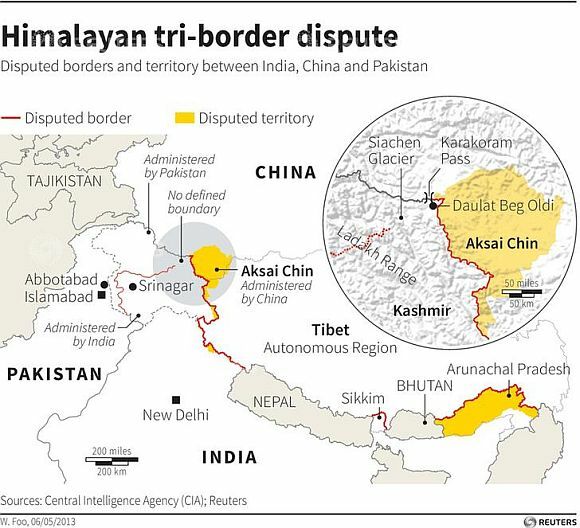 India by withdrawing its troops from this area de-facto has conceded this territory to China. It needs certain special talents to interpret an ignominious defeat as a diplomatic victory! At this juncture, saber rattling with China would be imprudent for India. But denial of aggression and loss of territory is self-destructive. It encourages the aggressor, demoralizes the own troops and infuses the countrymen with a self-corroding inferiority complex. Instead of recourse to misleading weasel words, the government must accept the assaults on territorial integrity of the country in right earnest, correctly inform the country of the gravity of the situation, confront the aggressor with all the tools available to it and make such military adventures utterly cost ineffective for China.